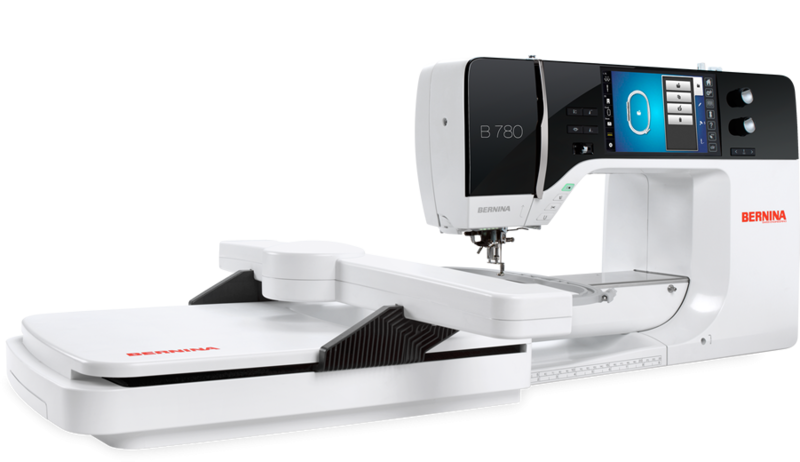 The BERNINA 780 offers many features to make sewing easier. Inventions such as the semi-automatic threading system, the BERNINA Stitch Regulator (BSR), the BERNINA Dual Feed, and the embroidery system, are proof of this superior quality. The BERNINA 7 Series includes a meticulously engineered extended freearm with ten inches / 254 mm of space to right of the needle—plenty of room for big sewing projects. Large designs can also be embroidered on the over-sized embroidery area. When needed, the BERNINA 780 can also be upgraded with a diverse selection of accessories. The 7 Series machines respond to your needs. For example, the presser foot automatically lowers at the start of a seam and lifts again at the end. The machine will even cut the thread for you at the end of your seam or color change. Also included is a practical extension table with ample space to hold your larger sewing projects.